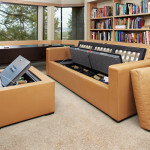 Now *this* is a couch built for a man cave. Often times, you’re at home enjoying some buttered popcorn and a movie, when an unwelcome guest bursts through the door with a .44 Magnum, threatening to “blow your head clean off.” Do you cower or scamper? Neither, because thankfully you ordered the optional bullet-proof cushions to go along with your CouchBunker. 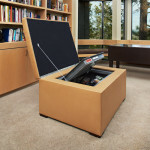 As its name implies, in addition to ballistic cushions, this otherwise unassuming-looking piece of furniture hides a fire-rated gun safe, which can be used to store valuables, up to 30 rifles, or (for those of us less than 7’3″) yourself. 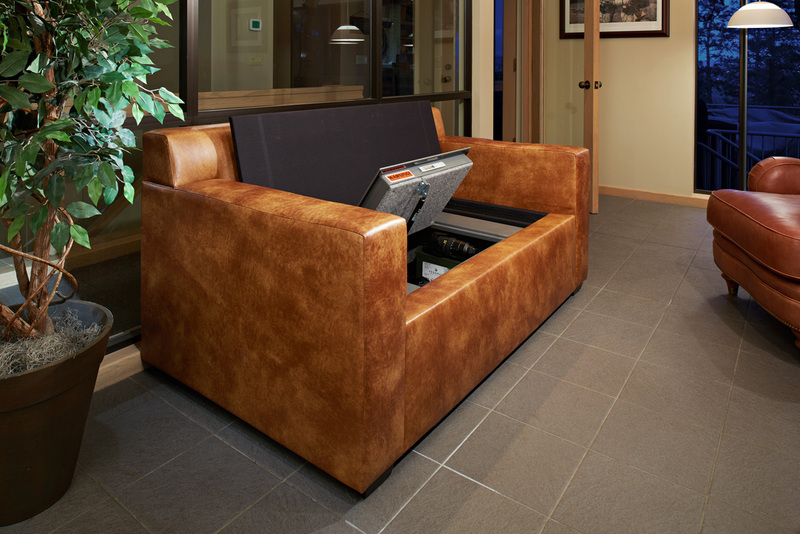 The couch itself weighs about 250 pounds, and with the safe it’s 900 pounds, just so you know how many moving buddies to line up.